Round Rock Girl Scout Troop Supports Shalom! 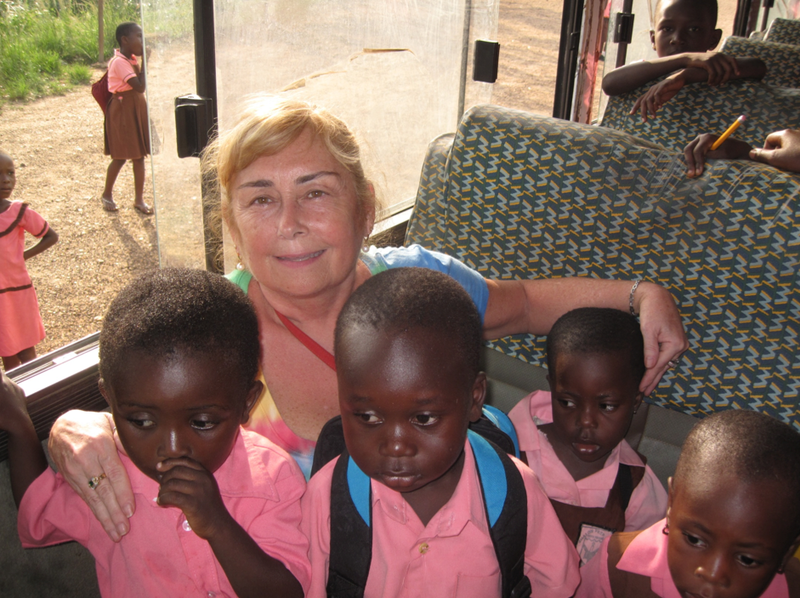 In March of 2010, I visited Shalom Children’s Center in Ghana. The children went to school in a bright pink building. 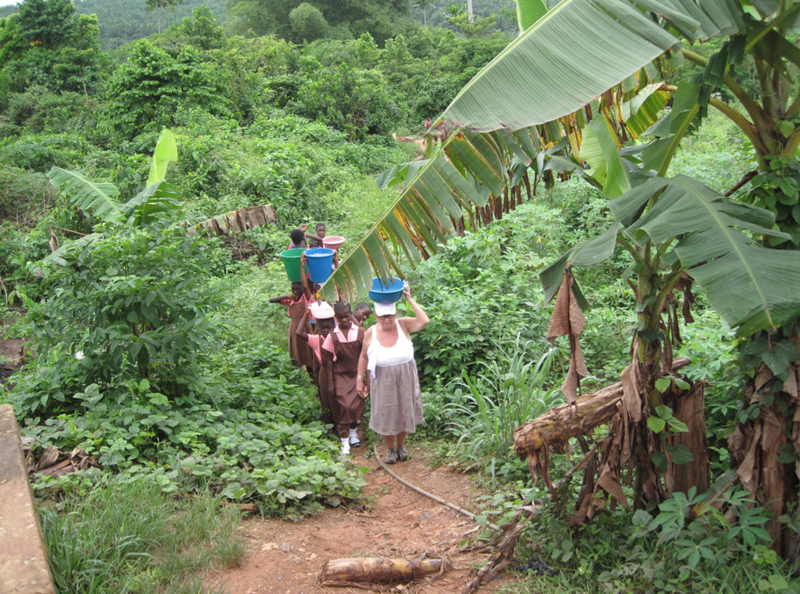 Every day girls would walk through the thick bush and up the steep hill from the well with buckets of water on their heads. They would fill the huge bright blue buckets outside the classrooms. But the land all around the school was dry and dusty and wide open with only one tree. One afternoon I was standing under the only tree on the grounds outside Shalom. It gave a little bit of shade, so this is where Christiana and the others served the children breakfast and lunch. Even in the shade, I was so hot that my clothes were soaking wet with sweat. Then I heard the headmaster ring the bell and 230 children came pouring out of the doors of the school. Some stopped at water containers and dipped their cups in to get drinks. And some children rushed out onto the “playground,” running and playing. And then I realized that it must be recess for the children, even though they had no play equipment, balls, or anything. As I watched to see what the children were going to do, I noticed a circle of children about 7 or 8 years-old playing with an object. They were playing soccer, kicking something around from one child to another. I walked out on the playground to get a closer look. I couldn’t believe what I saw. They were kicking around a piece of plastic sack like an H.E.B. bag. It was the color of the dusty playground, crumpled up in the form of a ball. The children had figured out where their goals were on the “playground” and were having the time of their life, taking turns like they were kicking the sack to a goal. They played like they had two real goalposts and a real, honest-to-goodness soccer ball. When I think of “joy” this Christmas, I will think of that afternoon in Ghana and how little it took for the children to have a good time. They were having so much fun with absolutely nothing. They just had dust and dirt and every so often the tiniest bit of breeze blowing the soccer ball/bag an extra few feet toward the goal.